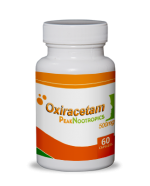 Piracetam was the first nootropic compound to be created in a lab. Corneliu E. Giurgea, a Romanian chemist, made an amide in 1964 that eventually became known as Piracetam after converting 2-pyrrolidinone into 2-(2-Oxopyrrolidino)acetamide. 290 queries in 1.912 seconds.